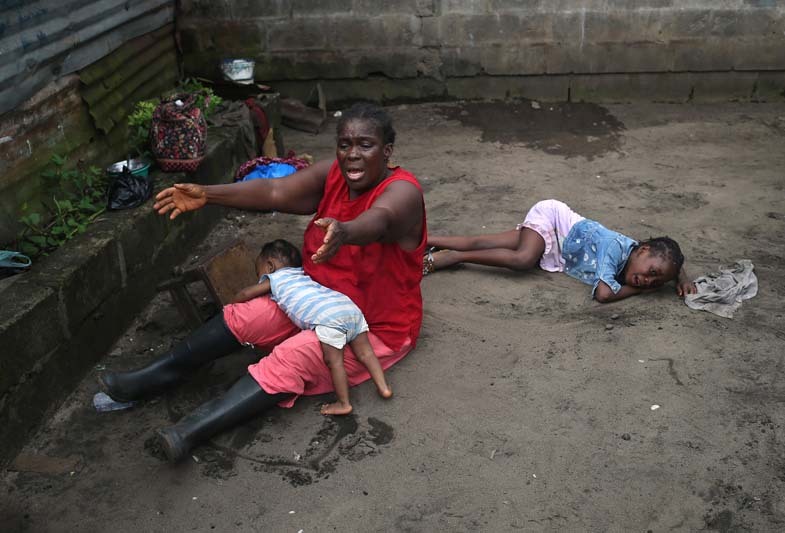 Sophia Doe sits with her grandchildren, while watching the arrival an Ebola burial team to take away the body of her daughter for cremation on October 10, 2014 in Monrovia, Liberia. The children seen in the photo are daughters of the deceased. The woman died outside her home earlier in the morning while trying to leave her home and walk to a treatment center, according to her relatives. The burial of loved ones is important in Liberian culture, making the removal of infected bodies for cremation even more traumatic for surviving family members.